The Grooved Flame Jade Acrylic Trophy is an award that will add prestige to every honor presented with it. Its shape with rounded edges leading up to a point, and grooves along the sides make this unique trophy something truly special. 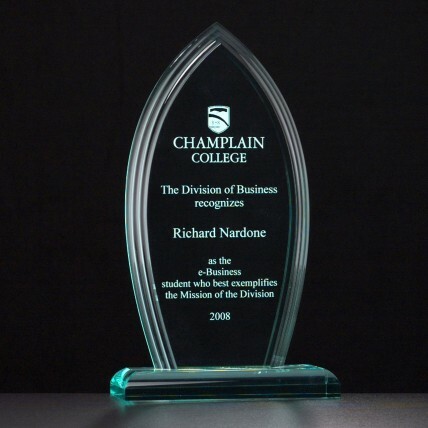 Coming in three sizes this acrylic award is sure to be the perfect award and look great on the desk of every recipient. So reward your employees and business associates for their dedication and efficiency with this superb award. Ordering More then 59 Click Here For Large Order Quote!